The day began with a pair of important hearings on Tuesday. Wells Fargo CEO Tim Sloan appeared before the House Financial Services Committee to address the bank’s progress in providing reparations related to past scandals and how the bank is working to improve its culture and better serve its customers. Meanwhile, the Senate Committee on Banking, Housing and Urban Affairs met in an Executive Session to discuss the CFPB’s activities and plans with Kathleen L. Kraninger, Director, Consumer Financial Protection Bureau as the witness. The hearing stems back to 2016, when the Consumer Financial Protection Bureau (CFPB), Office of the Comptroller of the Currency (OCC), and Los Angeles City Attorney fined Wells Fargo Bank collective penalties of $185 million for opening millions of deposit and credit-card accounts in customers’ names without their consent or knowledge. The CFPB and OCC imposed the bank with civil money penalties and demanded restitution to harmed customers. In the follow-up hearing on Tuesday, Wells Fargo defended its response, claiming the bank has worked toward a change in leadership, culture, and practices. Sloan pointed out that Wells Fargo has created the required ethics training for all team members titled “Change for the Better.” He also added that he “cannot promise perfection,” however, he suggested that the changes implemented will act as a deterrent to further issues. Sloan also acknowledged the bank had had improperly foreclosed on 500 homes after incorrectly denying mortgage modifications, due to a computer glitch last year. He said that full restitution has been made and that each of the affected customers “recieved $15K compensation,” but did not have an answer when asked about additional harm such as devastating credit scores and other residual damages caused by the error. When asked about the accountability of the bank’s lobbyists and their stance on the bill concerning overdrafts, Sloan indicated that he has not spoken to them but he intends to. Ms. Waters ended the session with a promise to reintroduce legislation aimed at holding big banks accountable, which would, among other things, give regulators the authority to break up lenders that abuse consumers. Patrick McHenry, the top Republican on the committee, acknowledged that Mr. Sloan has made some progress, but expressed concern that Fed and the OCC still don't seem comfortable with measures taken so far. "We don't know with certainty how many consumers were affected," Mr. McHenry said. Nor do we know "the full extent of the damage." Wells Fargo contends that it’s made progress toward turning itself around and that it’s committed to making things right for its customers and earning back the public’s trust. Even as the Wells Fargo hearing was unfolding, the Senate Committee on Banking, Housing and Urban Affairs met in an Executive Session to discuss the CFPB’s activities and plans. In a previous hearing held last week by the House Financial Services Committee titled, “Putting Consumers First? A Semi-Annual Review of the Consumer Financial Protection Bureau,” Kraninger stated that the Bureau was “stronger at this time, not weaker” and that it was on the right track. She also defended claims that sufficient efforts were not being made to police predatory lending. Prior to this morning’s hearing, U.S. Senator Mike Crapo (R-Idaho), the Committee’s Chairman, said, “During this hearing, I look forward to hearing more about Director Kraninger’s priorities for the CFPB in the upcoming work period; additional legislative or regulatory opportunities to provide widespread access to financial products and services; and steps that could be taken to increase the protection of consumers’ financial and other sensitive information." “Data privacy is another issue that the Committee will spend significant time on this Congress. Americans are rightly concerned about how their data is collected and used, and how their data is secured and protected by both government agencies and private companies. 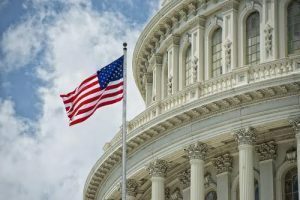 I have long raised concerns about big data collection by the CFPB, especially with respect to credit card and mortgage information,” Crapo added.